Flower blossoms, fragrances, and flight discounts – oh my. 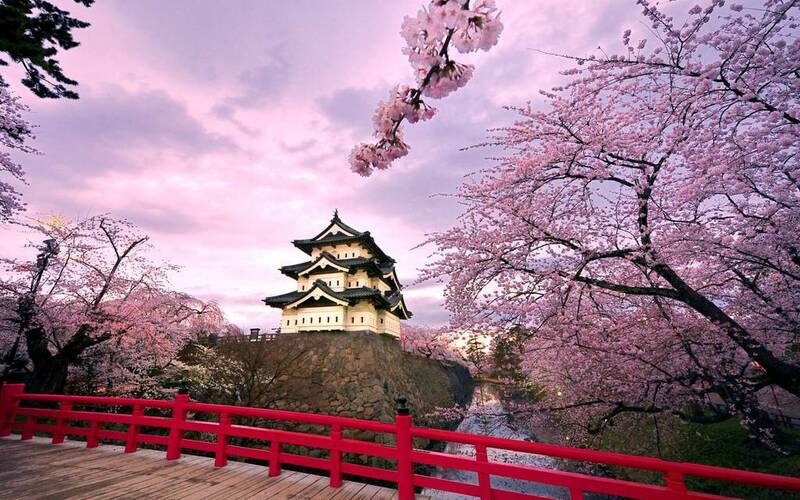 When the cherry trees bloom in Japan, it’s a sight to see and smell. Festivals pop up all around the country, with drinks and treats made with the floral aromas appearing everywhere in celebration. This short but sweet season of blossoming has its own name in Japanese (sakura), as does the act itself of viewing the phenomenon (hanami). 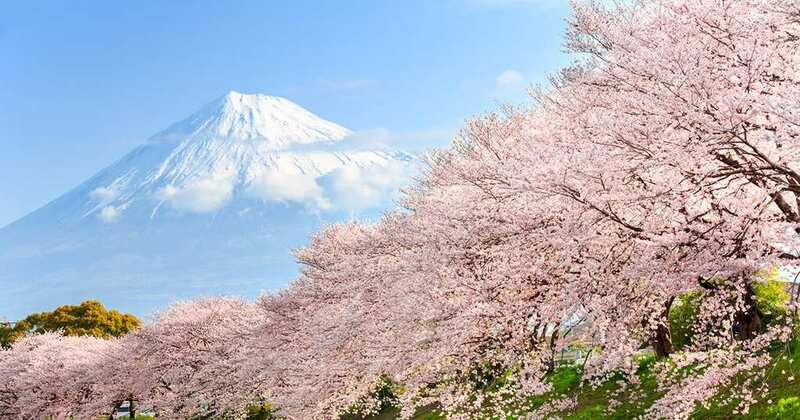 The cherry trees famously bloom first in the south, making little pink waves all the way north through the country for about a month. But where can you can expect to have the most stellar sakura experiences? The castle is, of course, spectacular; but the real attraction here is the park it resides within. With many trees and a moat surrounding the castle, these bright petals fall right into the water, creating a pink river circling beautifully around the grounds that you can actually row yourself down in a boat. 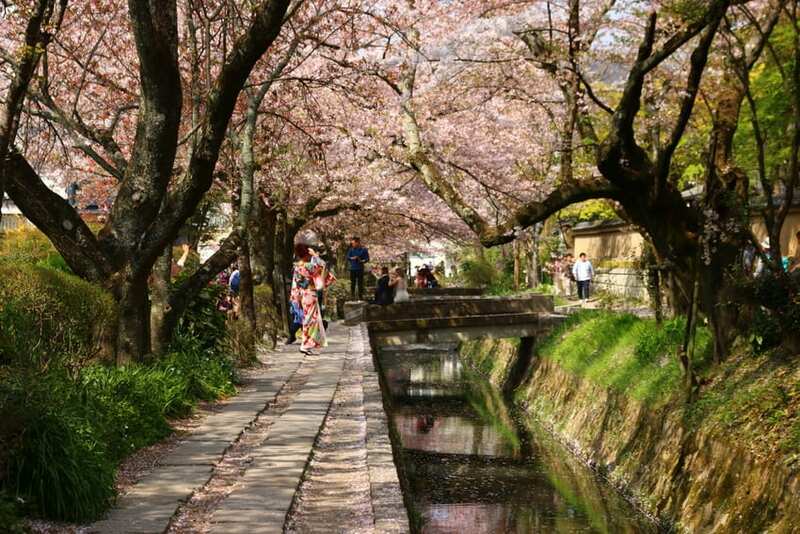 Located within Maruyama Park, this long path winds around a 200-year-old canal boasting a two-kilometer line of cherry trees and vibrant seasonal sakura from start to finish on either side. Its name honors one of the region’s most famous philosophers, Nishida Kitaro, who meditated along this route on his everyday walk to teach. Fact: there are not many castles left in Japan; only 12 remain with their original fortifications after many periods of war and shifting power. Here, the official castle of the city of Himeji has been standing for almost 800 years, having survived many periods that could have easily seen it destroyed. Its elegant height and white exterior have earned it the nickname of the White Heron Castle. This castle is just what it sounds like: mostly in ruins. But the amazing thing here, other than the sakura itself, is that you can see remains of constructions from different periods of Japanese history – all of them surrounded by lush greenery. 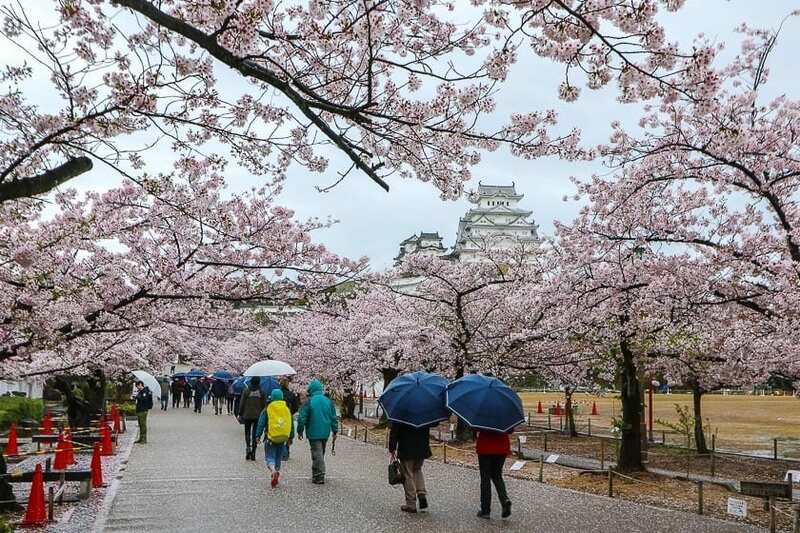 The park boasts a whopping 1,500 cherry trees blooming at once, some of them almost 200 years old, and hosts a sakura festival for the entire month of April. 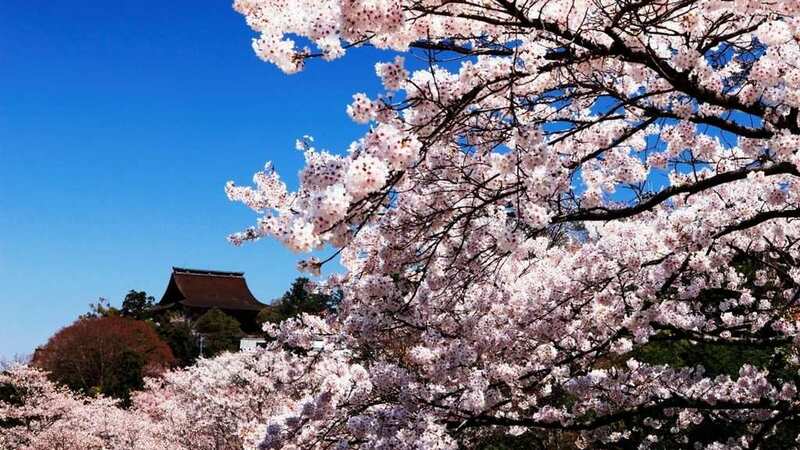 For centuries, Mount Yoshino has been celebrated as the spot offering the very best sakura experience, with 30,000 cherry trees growing thick with bloom across its rolling hills. 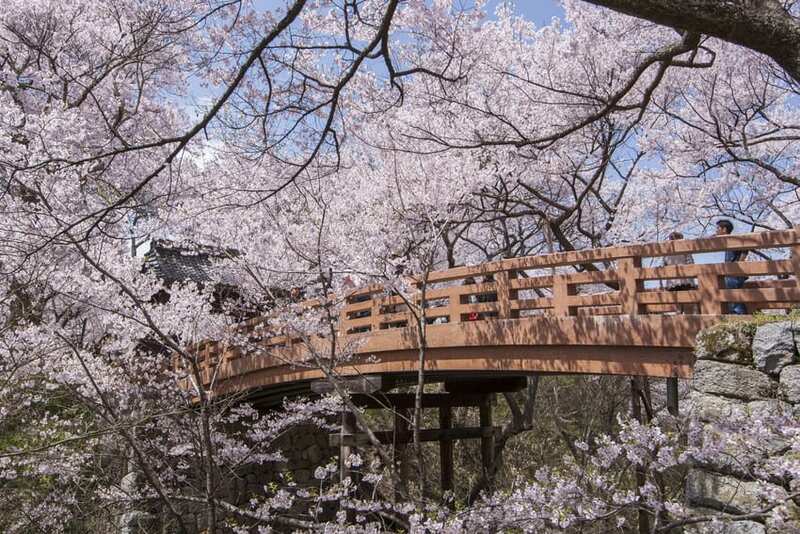 This hanami is guaranteed to be worth the long hike around the mountain, offering expansive views of sakura in many directions. Naturally, the tourism industry is aware of this epic season and its tourist appeal, so keep an eye out for flight discounts if you’re keen to make your way there soon.